Think of investing, and people think of shares. But there’s a whole range of different asset classes that you can invest your money in. There are even several different categories of shares! 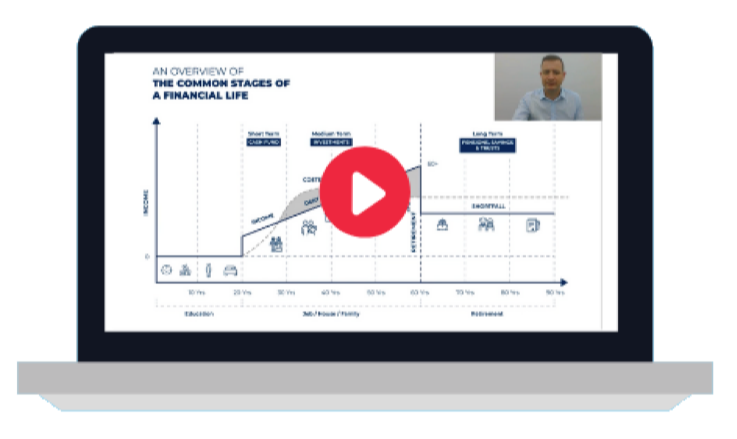 In the first in an occasional series exploring the basics of investing, I’m going to take a look at the main asset classes available to you. 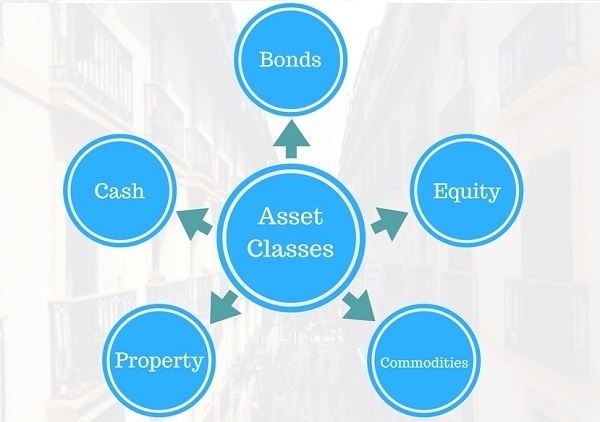 Although there are several different types of asset — or asset classes — the most important ones for the majority of individual investors are shares, (otherwise known as stocks or equities), and bonds, (sometimes referred to as fixed income). When you buy shares, you are literally buying a small part of a business. You become a co-owner of that firm. 2. Dividends, or your share of the profits of the business. If the firm goes bankrupt, as a share owner you are closer to the end of the line of creditors to be repaid. When you buy bonds on the other hand, you are lending money, either to a government agency or, in the case of corporate bonds, to a business. If the business or agency defaults on its bond, you are closer to the front of the line of creditors to be repaid with any remaining capital. Shares are considered riskier than bonds, but have generally delivered higher returns over time. According to the Credit Suisse Global Investment Returns Yearbook, between 1900 and 2016, shares have produced an average annual return of 9.5%. That compares to an average of 4.9% for corporate bonds, and 3.7% for government bonds. This outperformance by shares is called the equity premium. So, although prices of shares are volatile at times, they should form the largest part of a long-term investment portfolio — especially for younger investors. 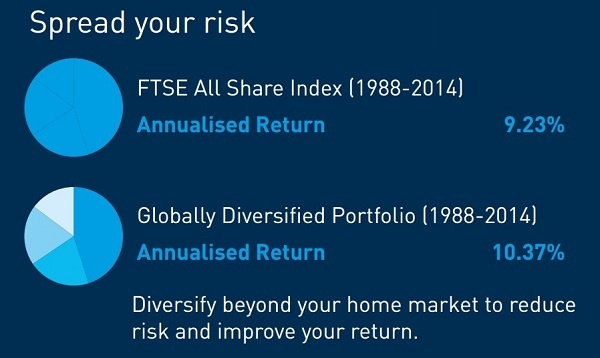 It also makes sense to spread your risk by investing in shares from other regions of the world. That said, if you invest too heavily in equities, you run a risk that your portfolio will fall in value far more than you feel comfortable with. For that reason, it makes sense to dampen that risk with bonds. Generally, the older you are, the larger the proportion of bonds you should have in your portfolio. The third main asset class is cash. People invest in cash through savings accounts, or so-called money market funds. These are collective investment schemes which either invest your money in cash, or equivalents to cash, such as short-term loans to the government, known as short-term gilts in the UK, or Treasury Bills in the United States. Cash is considered the safest asset class of all, as it’s very unlikely — though not impossible — that you will actually lose any money. The big downside is that over the long term cash usually delivers smaller returns than bonds — and far smaller returns than equities. What’s more, as is currently the case, those invested in cash can see the value of their money dwindle if the rate of inflation outstrips the rate of interest they can earn on savings. In reality, therefore, cash is for savers rather than investors. The final asset class — usually called alternatives — principally includes property (residential and commercial), commodities, hedge funds and private equity funds. Some would also include art, classic cars and fine wines in this category. All alternative investments are attractive in their own way, but they all have disadvantages too. 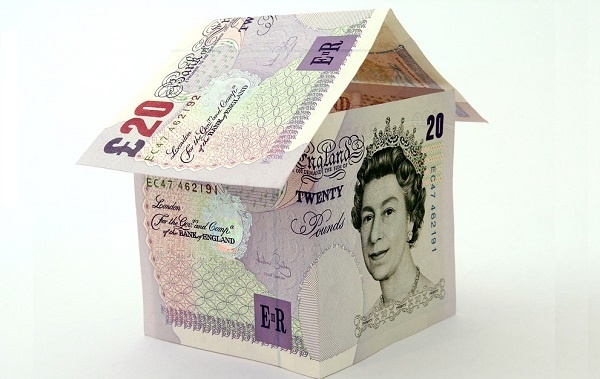 Of course, residential property has been a very popular investment for UK investors for many years and, on the whole, it has delivered strong returns. But, what you need to remember is that if you own or have a mortgage on your own home, you are already heavily exposed to residential property as an asset class. Also remember that a major disadvantage of investing in, say, a holiday home or a buy-to-let property is the lack of liquidity in terms of your investment. I.e., it may take several months or even years to sell a property and to get your hands on your money. So, although you may want to include some cash or alternative investments — or indeed both — in your portfolio, the main two asset classes to focus on are shares and bonds. If you would like our help to assess whether the balance of your current portfolio across different asset classes is appropriate for you, we’d be delighted to assist. Request an X-Ray Report and we’ll be in touch immediately. Alternatively, if you’d like to learn more about asset classes, download our free eBook.